When I asked my guides how I knew Anne, they had me spell out RIL. I looked it up on the Internet and to my surprise RIL was the last name of an artist from the Cotswold region known for his pastoral scene paintings. I heard, “Is it any surprise you would dedicate 15 years of your lifetime this time to live in NEW England painting historic town scenes from this era?” I looked up the art of this man, John Ril and it was like looking at my own art and an instant deja vu took place. As for Anne, the cellular memory of that lifetime, where she lost all her possessions in a fire, was very, very deep. When something is so vivid such as that horrific experience, many times it is brought forward into this lifetime to learn from and forgive anyone connected to that period. It was no coincidence that as a child of 2 in this lifetime, Anne was badly burned on her right leg. She needed closure as it was hard for her to step forward (hence the right leg which represents moving forward in her life). It is also the male side or giving side. Some things we simply cannot understand but I always believe in keeping an open mind to see what the Universe has in store for us. Only the future will tell where all of this will take us. 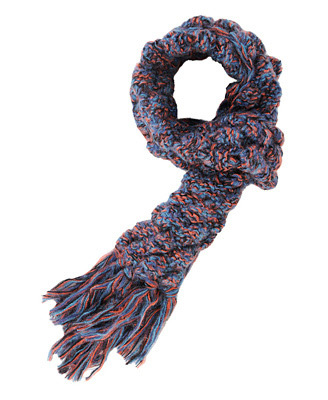 In case you are interested, I’m meeting Joanne on Saturday to retrieve the colorful wool scarf. When you are told you have had a past life with someone, does anyone know the correct protocol for greetings in this life? It’s an interesting question to ponder. If I was more than a little concerned about the “woo woo” nature of my last post, I will confess that this story leaves me speechless. And that is half the fun of this lifetime! While visiting a law firm client, I saw the most fascinating paintings on their walls. “Tell me about these,” I asked Michael, the founding partner. “Oh, those are angel paintings,” he said. “Some are portals and others are just inspired works. The angel lady does them. She sees angels and can tell you what they are saying about you.” I was intrigued and to make the long story short, that’s how I ended up having an appointment with Joanne Macko. From the moment I entered her house, there was a pervasive energy floating about that made me tingle. Joanne gave a short tour of her art room before we went to her “healing room”. There, she had me lay down and for about 45 minutes, I took a nap while she worked her magic. Sometimes I could hear her talking, other times she seemed to be furiously scribbling down notes, and there were the occasional ringing of bells and placement of oils. All in all, it was a remarkably cool experience and I must say that am no stranger to metaphysical experiences. “I feel like I lost 10 pounds,” was the first thing I said to Joanne as we began to discuss the treatment. “Oh, you did,” she replied with a smile. Joanne shared a number of fascinating things with me not the least of which was a past life experience that floored me. She said I had a life in the Cotswolds of England in which my village was taken over in a raid. As the invaders moved through the area, they torched as many homes as they could including mine. All my possessions went up in flames. I too was burned but escaped the house with minor injuries. More importantly, after the fire, I froze. I was afraid to move forward and rebuild my life. The right leg, where my burns from this life live, represents the ability to move forward Joanne told me. During my “nap” on her table, she saw the cellular memory from the past life had rested in my right leg and she and the angels released it. “Move forward now,” she said. 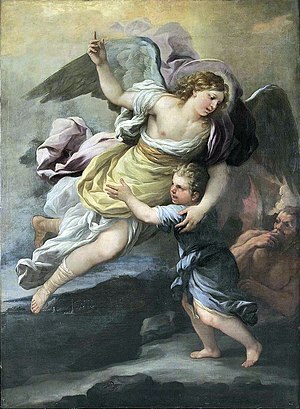 You may or may not believe in angels or any person’s ability to work with them. You may or may not believe in past lives. It’s edgy stuff for some. For Joanne, the angels changed her life. She had a near death experience and heard from them directly, then saw them guide her life. She was a top-ranked USTA doubles champion and quit. She painted sweet tableaux of New England charm. She quit that too. 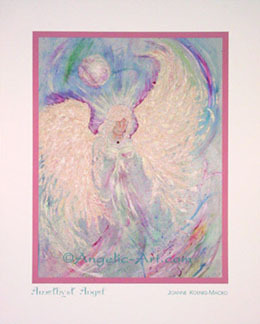 Now, she sees her life’s work as helping people hear from the angels and painting the scenes they show her (www.angelic-art.com). Joanne also doesn’t advertise and sees all her clients by referral, just as I came to see her. In the past 10 years, thousands of people have visited her Naperville home. And that’s what the angels said.